Holding family meetings will strengthen your family and help children become more helpful and capable, as well as allowing them to build important communication and problem solving skills. 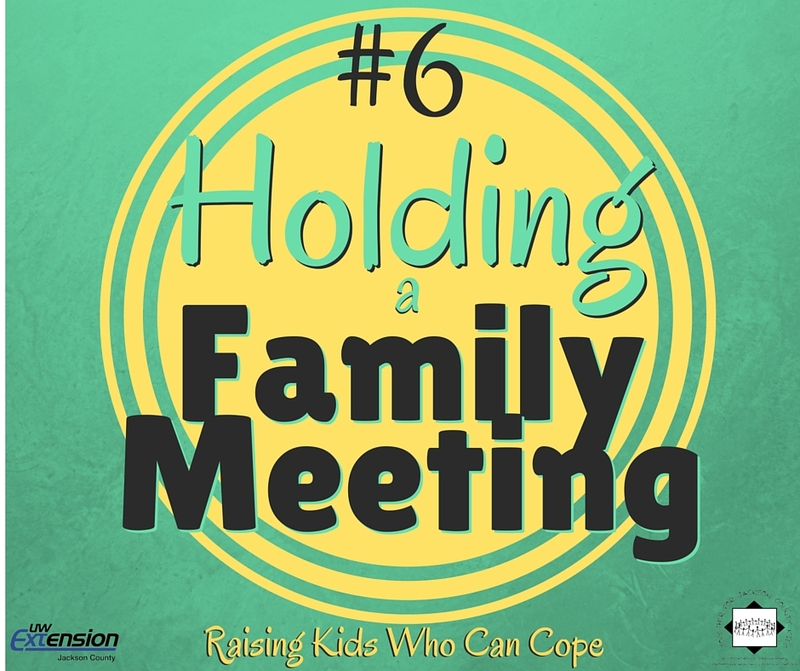 A good way to start having family meetings is to propose a regular, weekly meeting time. You can use your first meeting to discuss structure of future meetings, as well as the decision-making process. It may be helpful to have an agenda. Taping a blank piece of paper to your refrigerator door, where family members can write down items they would like to discuss during the meeting that week, will get you started. Of course, calling an emergency family meeting will mean there will be no agenda. There are several reasons to host a family meeting in your home. Family Meetings increase family unity and cooperation, decrease family conflict, increase love and mutual respect, increase family organization and build skills and competency. The long-term effects of family meetings are numerous, but learning good communication and building healthy self-esteem are things that will turn children into confident teens and responsible adults. Fleming, E., Kumpfer, K., Molgaard, V. (2007) Strengthening Families Program. Ames, IA: Iowa State University University Extension. This entry was posted in Raising Kids Who Can Cope and tagged coping skills, family meetings, listening, youth. Bookmark the permalink.